The cheese factory processes 5 million litres of milk per month, producing 550 tonnes of cheese. The plant and factory have export status, are accredited by Food Safety South Africa (FSSA), and complies with the standards of this organisation. The factory provides full-time employment to 100 individuals. 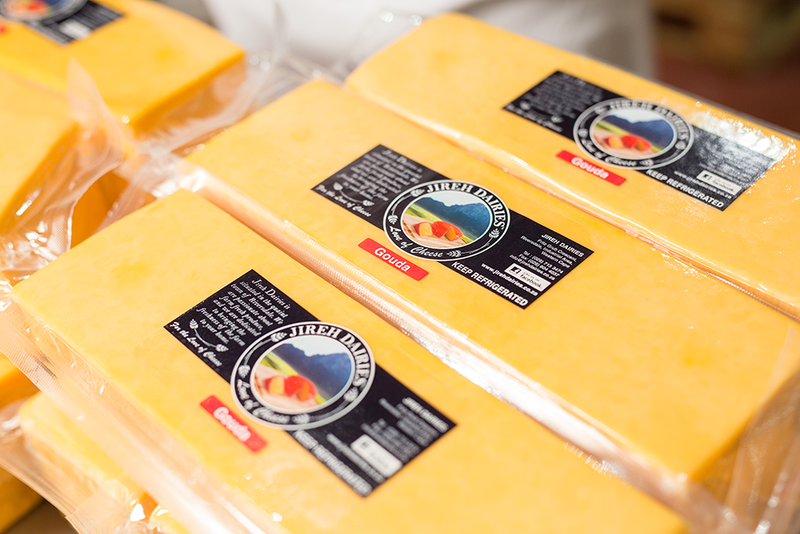 At Jireh Dairies our main focus is to always supply dairy products of the highest quality and taste and our cheese is well-known for its distinctive taste. Our quality is guaranteed because of the consistent supply from Jireh’s own farms as well as other local farmers. Jireh Dairies are listed with the appropriate government associations and get mentorship via MILK SA, DSA and SAMPRO. The company also ensures that all environmental specifications are met and therefore endorse environmental care. Jireh Dairies exist of a board of directors and executive management which originate from a dairy background.